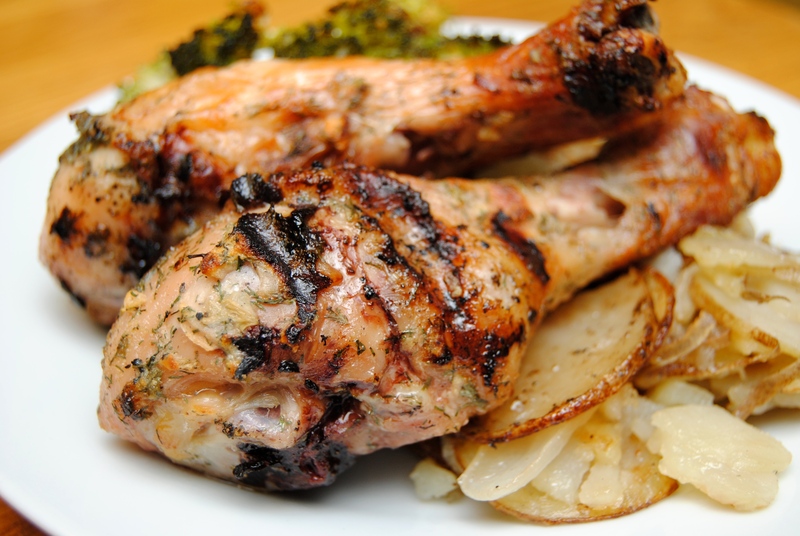 Dinner tonight was two of my favorites – chicken legs and potatoes. Inspired by the ranch dip and carrots that Blake was snacking on this afternoon, I decided to try something different with a ranch marinade for my grilled chicken legs. I used buttermilk and the herbs and spices I use in my ranch dip, and at the suggestion of my in-home chef, I added a little tarragon too. 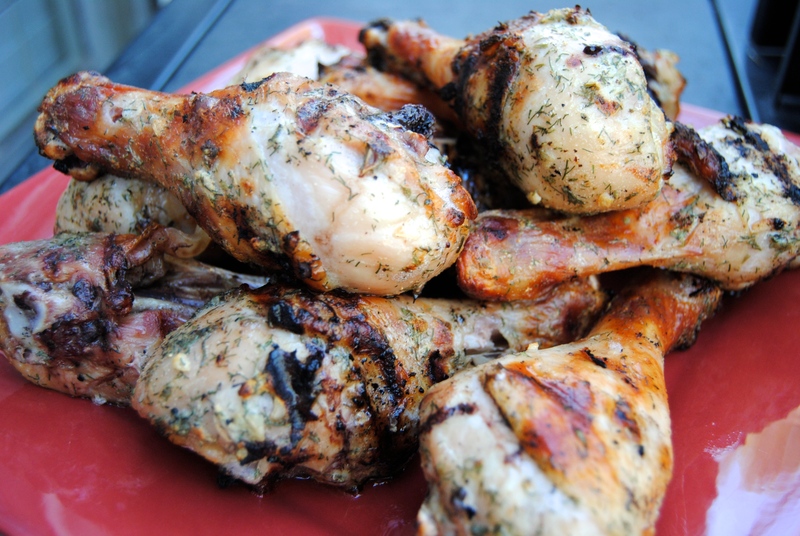 The flavor of the chicken was great, although it’s hard to go wrong when you’re grilling chicken legs. 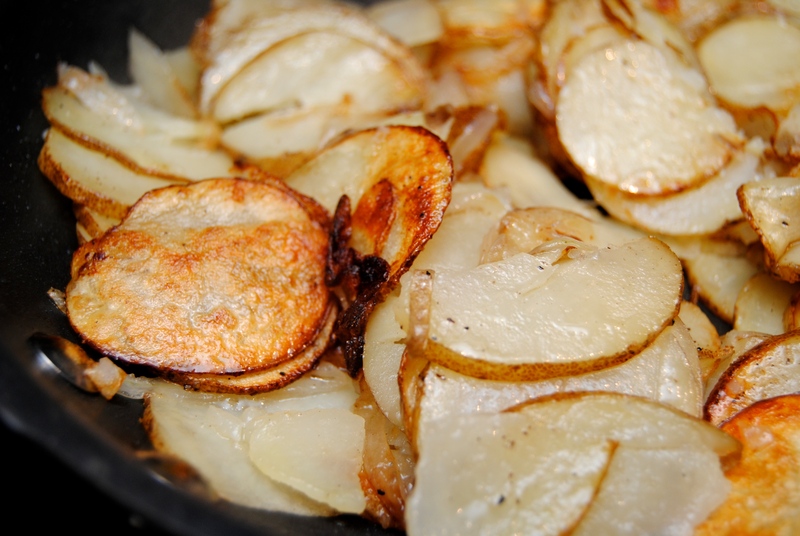 For the potatoes I actually made one of my breakfast time favs – skillet potatoes. These are super, super simple and absolutely delicious. I rounded the meal off with a little roasted lemon and garlic broccoli and stopped just short of licking my plate. Hope you enjoy! 1.) Place all ingredients in a gallon Ziploc bag and toss until evenly coated. Let sit for about 15 minutes at room temperature. 2.) 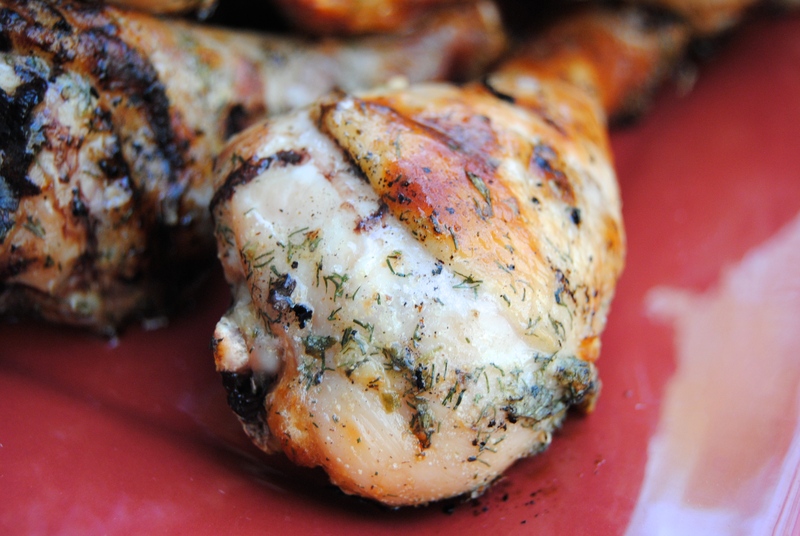 Place chicken on a hot grill and then reduce the temperature down. 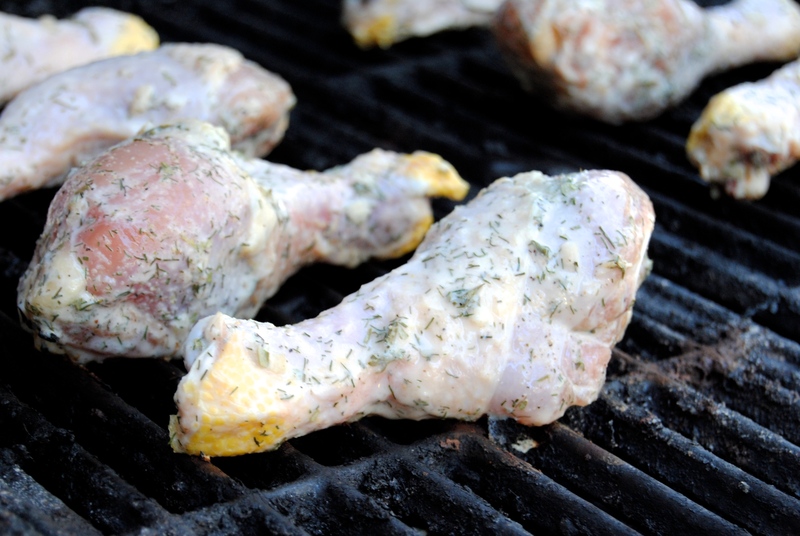 Chicken should cook with the grill at about 450 degrees for 25 – 30 minutes (depending on the size of the chicken legs). 1.) Add oil to a large non-stick skillet and heat over medium heat. 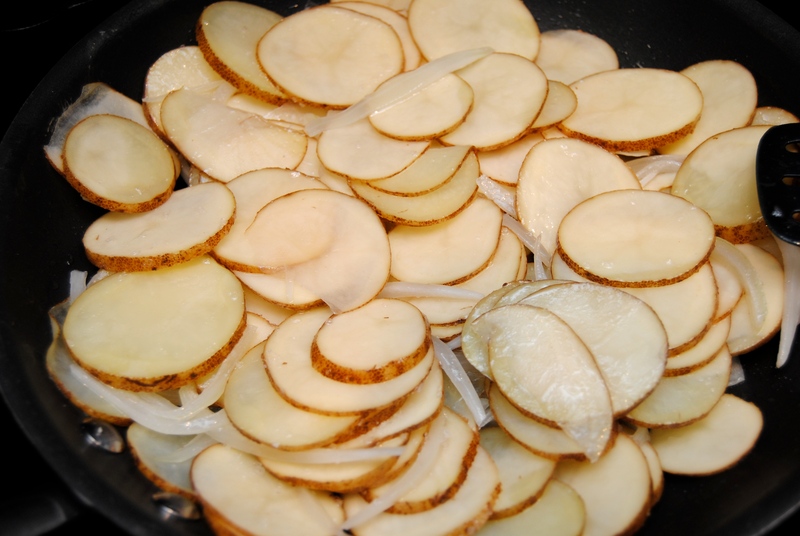 Add onions and potatoes, making sure that potatoes are all separated and evenly spread around the pan. Add salt and pepper. 2.) Stirring occasionally, cook for about 20 minutes over medium heat. 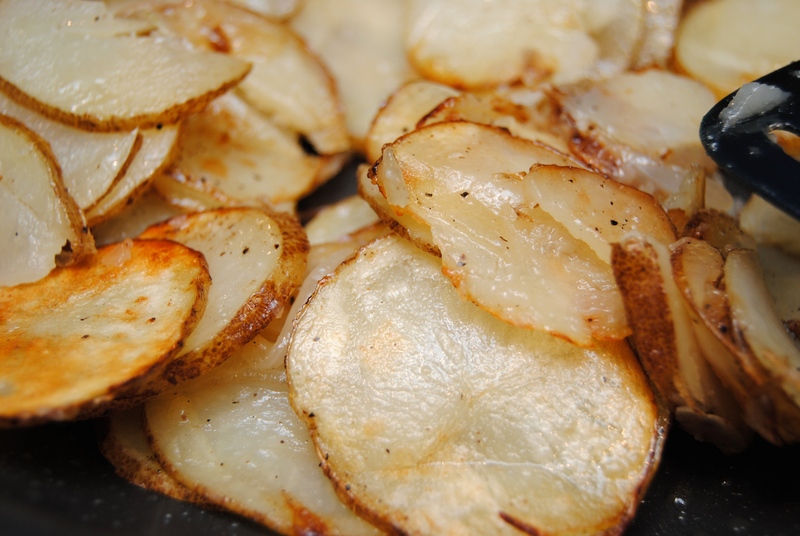 At the end of the 20 minutes, potatoes should be tender enough to cut with the spatula. If they are not that tender, continue cooking. Taste and adjust salt and pepper if needed. This entry was posted in Food and tagged Chicken, Chicken legs, Cooking, Dinner, Food, Grill, Homemade, Potatoes, Ranch, Skillet potatoes by biscuitsncrazy. Bookmark the permalink.